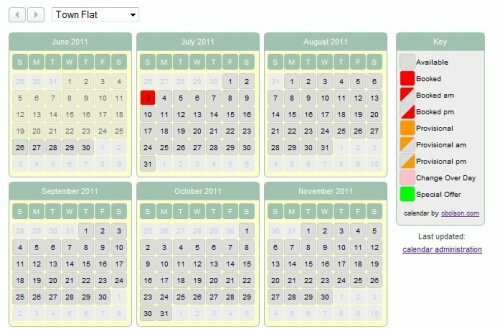 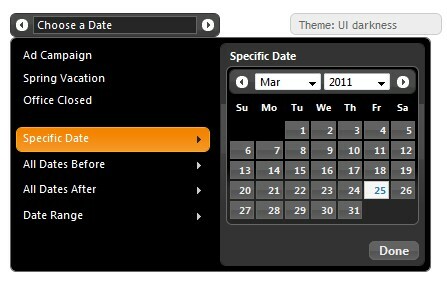 This plugin wraps the jQuery UI datepicker into an interactive component specifically designed for choosing date ranges. 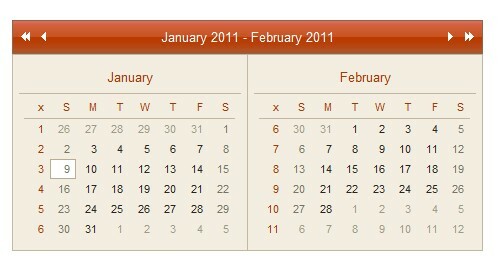 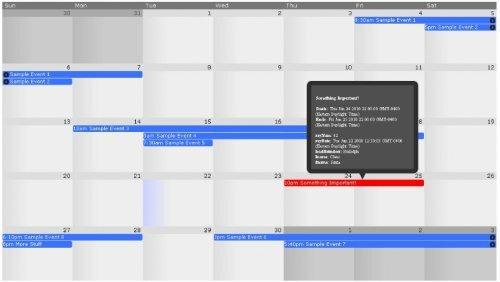 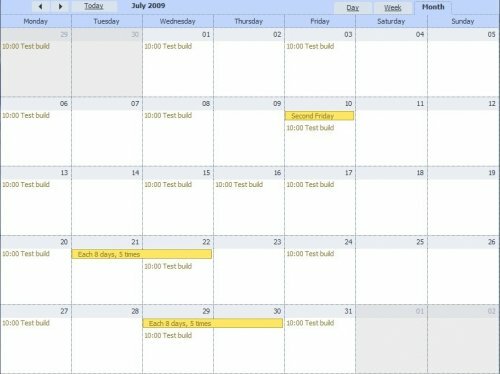 This plugin allow you to add a full month Calendar, that looks like Google Calendar, to your web site. 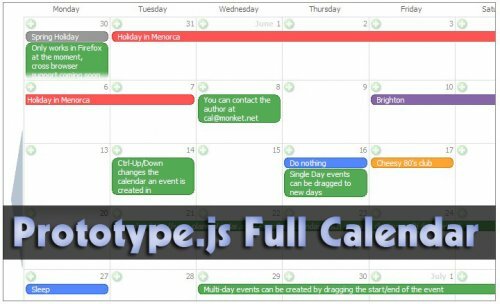 Web Ajax events calendar similar to Google Calendar or Microsoft Outlook Calendar. 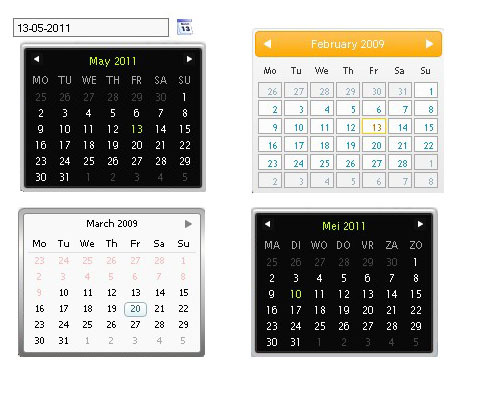 The events can be displayed in Day, Week, Month, Year, or Agenda views. 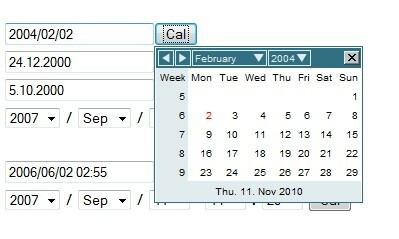 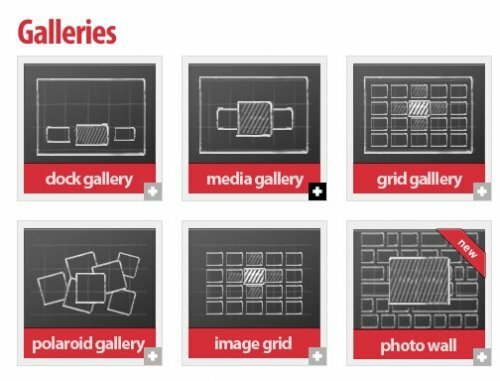 Users can change events dates and time using an advanced drag and drop functionality.